Apple iPhones have taken over the smartphone market as teenagers’ first choice in phones, apparently because of a need to upgrade outdated devices, a process driven by peer pressure. The majority of students at CHS have followed a pattern: They first got iPhones when they were young because it was the most popular phone at school to have and user-friendly. The majority of other students followed the herd and got iPhones as well, but once Apple nixed support for some of the older models, newer phones became necessary in order to have an operating smartphone. Yet despite the pressure enveloping students to have an iPhone, some Carmel teens have ignored the call and chosen to not use smartphones at all. Senior Colleen Lang has chosen a flip phone over something more high-tech because, she says, it’s given her a sense of control over where she is spending her time. She actually used to have an Instagram account, a popular social media platform, on her school computer, but deleted it after seeing no real need to connect with her friends via an app. In 2017, the iPhone X was released, with a screen stretching to all four corners of the device. The absence of the home button was the most noteworthy thing about the latest iPhone, and with a retail value of $999, purchasing one of these phones displays one’s wealth—or one’s parents’ wealth—to whomever can see the screen. Parents don’t hesitate when it comes to getting their kids one of these high-priced phones, even though Samsung Galaxy phones range from $499-$899. The iPhone SE is the last model that Apple currently supports, valued at $80 if you want to trade it in with Apple, and Lukes has an iPhone 6s, released in 2015. Even though her phone is only one model away from being in the popular trend, she feels left out as a result of it. Other students avoid the craze altogether. 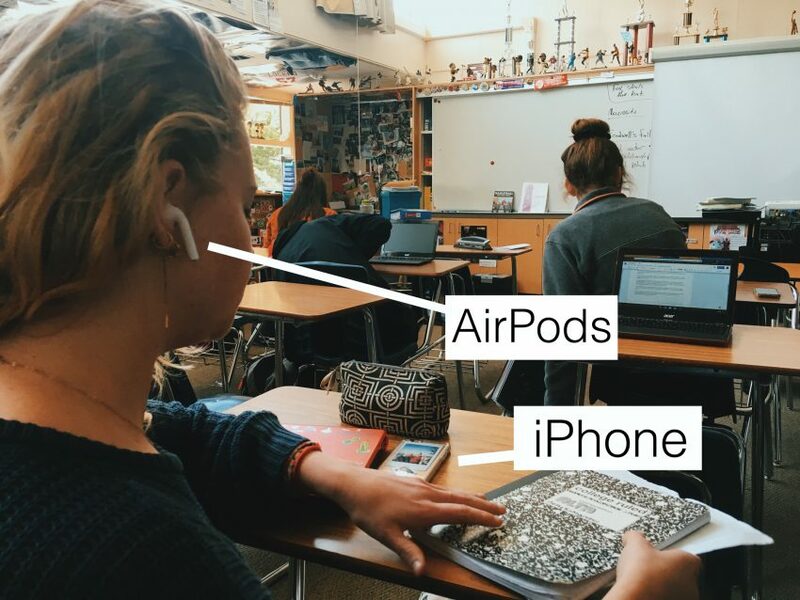 A poll of 100 Carmel High students found 93 percent as having an Apple product of some sort, and 89 percent having an iPhone. Kids who tended to have access to more money often opt for the newest phones, ones without home buttons, whereas other students work around the unsupported parts of their phones, such as battery life or software crashes.